TOPIC: How to setup my affiliates? I am using basic free version, i have my amazon associates secreat key too. 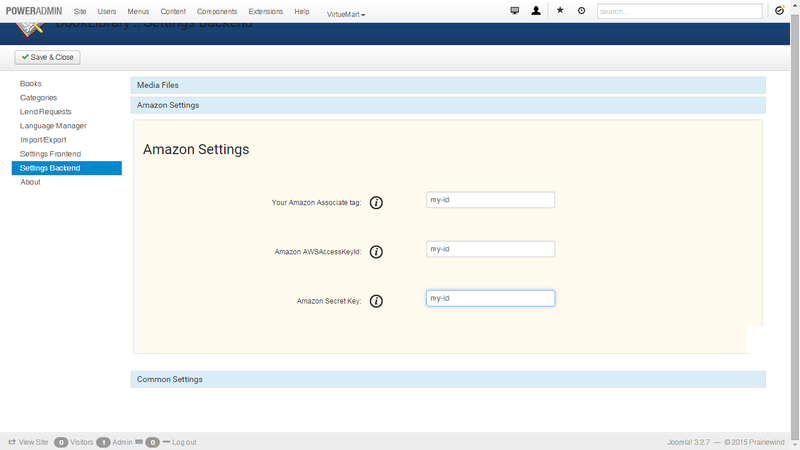 1) For Your Amazon Associate tag you need Input your own Amazon Associate tag. This gives you the possibility to earn book credits if people buy a book at Amazon by clicking the link on your website. If you do not have your own Associate tag, please support the further development of BookLibrary and use mine instead.